The Ridgefield Chorale, a contemporary music singing group whose 70+ members hail from Fairfield County Connecticut and Westchester County New York, is known for its vocal excellence. Dedicated to the performance of contemporary choral music, from a cappella to Broadway, the standards, jazz and world music, the Chorale presents today’s finest choral composers and arrangers, accompanied by some of our area’s best musicians. The common bond that connects the singers stems from their strong sense of camaraderie and civic-mindedness. Chorale members volunteer their time not only to blend in four-part harmony but also to help their fellow citizens. Members participate in numerous other community activities which impact the lives of children, seniors and students in a positive way. 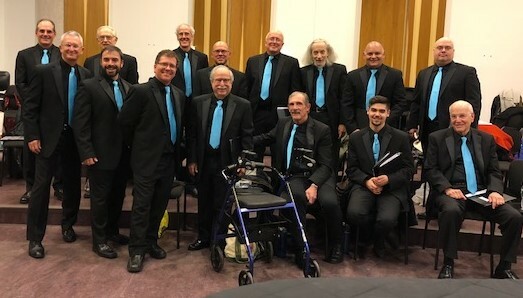 A vital part of the performing arts scene in Connecticut and New York, The Ridgefield Chorale offers two major concerts a year and a holiday concert, and participates in many other community events, to lift spirits and provide hope through song. Listen to The Ridgefield Chorale on our YouTube channel! 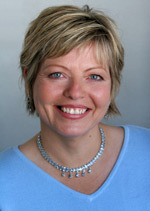 Daniela Sikora was born in Germany and raised in Chicago. Daniela’s education took her from the Rheinische Hochschule für Musik in Germany, to Northwestern University, then to the graduate school of music at Indiana University where she majored in Voice Performance and Arts Management. She has won numerous awards, honors and competitions as a professional musician, including the Metropolitan Opera Regional Award and the distinction of a Fellowship in Chamber Music at the Aspen Music Festival in Aspen, Colorado. Some of her notable roles include Rosina in The Barber of Seville, Susanna in The Marriage of Figaro and Queen of the Night in Die Zauberflöte. As gifted as Daniela Sikora is in the world of classical music and opera, she is just as at home belting out familiar standards, Broadway show tunes, pops and swing numbers that transport her audiences. 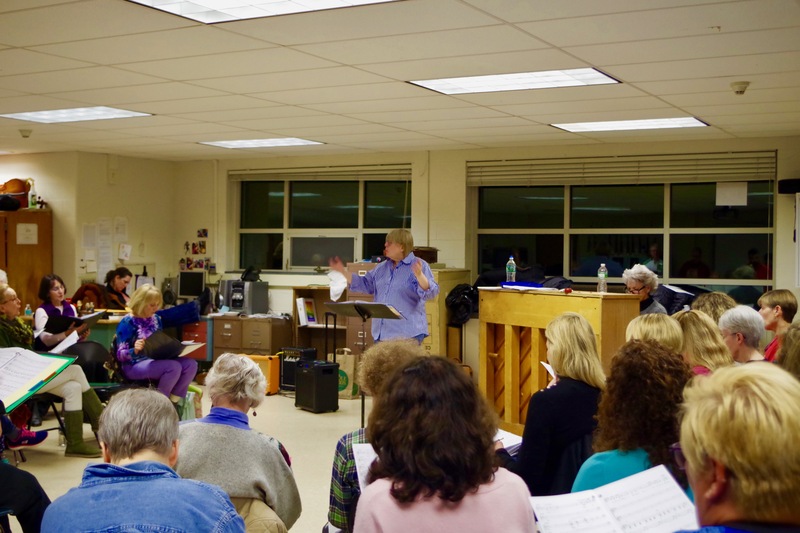 Locally, Daniela has served as Artistic Director of The Ridgefield Chorale since 1998. She also directs the Founders Hall Singers. In addition to all this, she is a much sought-after soloist and respected music arranger, composer and conductor. Her fresh approach to rehearsals and music education creates a comfortable ambiance of learning, camaraderie and connections with everyone Daniela directs. If you love to sing and you value an artistic outlet in your busy life, you may want to attend rehearsal and see for yourself: our main weekly rehearsal is on Tuesdays from 7:30 -9:30 p.m. We typically rehearse August through May. For more information, send an email to info@ridgefieldchorale.org or call toll free, 1-877-815-5635.